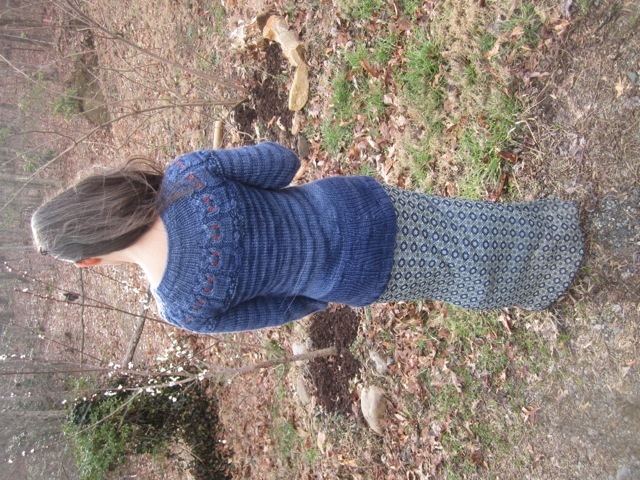 Finally, I’ve knit myself a sweater! I’d been eyeing this pattern for a while and decided to take the plunge a few weeks ago. I’m so happy with the way it turned out. 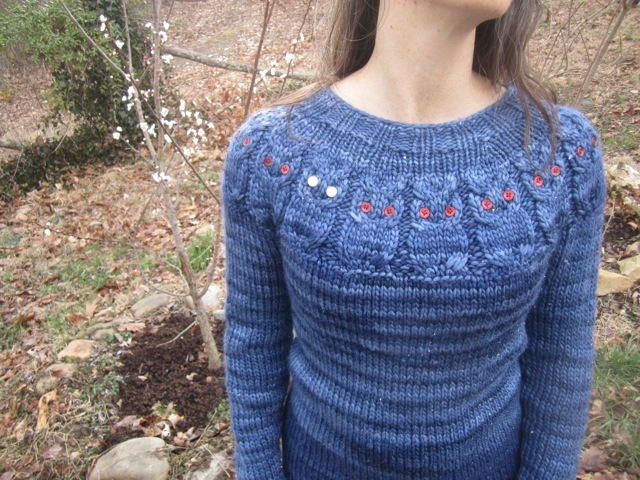 My only problem is that people notice it when I wear it, so I can’t wear it everyday like I’d like to, or they’ll think I never change Here is the pattern for the Owls sweater. Toby was so impressed that he’s asked me to knit a sweater for him. 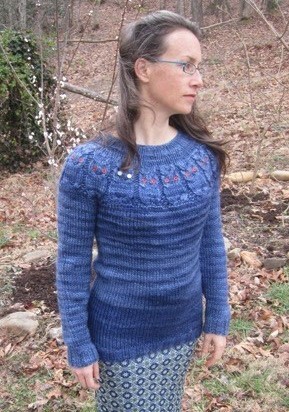 I’ve chosen the Cobblestone Pullover, but I’m going to knit all the way up, instead of changing to purl. I’m excited to get started so I need to drag him to the yarn store this weekend to pick out his yarn. « My baby boy turned 3!! Absolutely beautiful!!! I love love love the owls!!! what a great blog you have! i followed the link from the comment you made about macaroons over at my place! 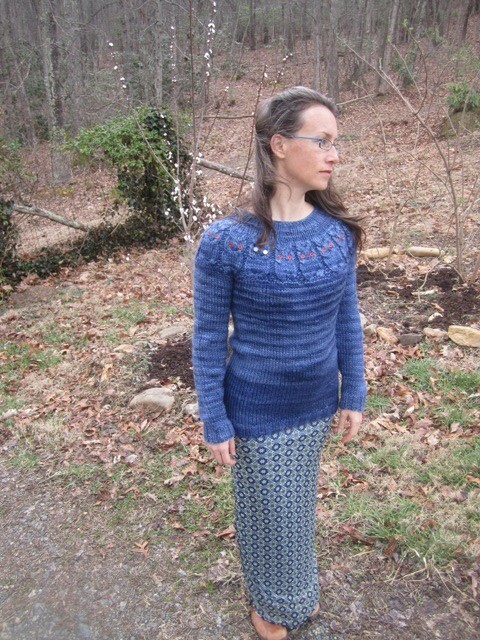 seriously, that is a beautiful sweater! 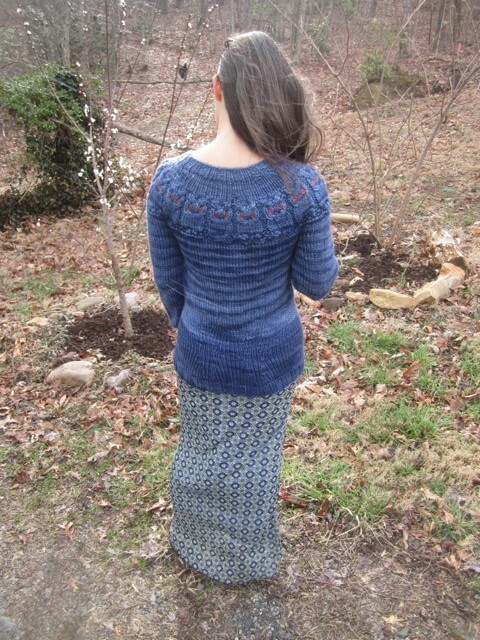 I’ve seen that owl sweater on Ravelry, and was thinking of making one for myself. You did a great job. I really like it in the segregated blue.